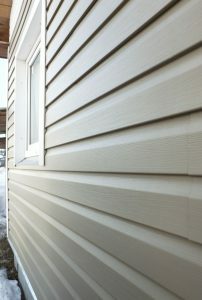 We are a full-service installer, which offers many different services to complete all your siding project. Our portfolio features different job sites from residential homes, to a multi-unit apartment to commercial developments. We also offer a solution to those who seek to remodel their exterior. These projects are carried out by a skilled and experienced team, which works with your to ensure you love what you see. Our team we’re able to start off by assessing the size of the project, your goals, and needs as well as your budget. Then, we look and research a variety of siding options, which could work for your project. Your decision will set off the project, throughout which our team remains tight communication with your regarding the status of the project. What we want here is that you fall in love with what you see. That is why we will put you in charge. We believe in offering property installations and quality products to avoid problems down the road. That’s why we work along with top notch brand manufacturers to offer you with several options, which are high in quality, which we’ve worked with for years and suggest for your siding project. Create a dramatic difference in the exterior of your home with siding from us. You can rest assured that our siding is low maintenance, durable and weather resistant – it’s an easy care and low-cost option than other kinds of siding. We provide grades of energy-efficient siding options in all the famous colors – all geared by an excellent warranty. Contact us today for your free consultation for your new home siding! 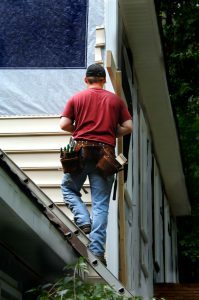 Why Choose Statewide Roofing Repair and General Contractor for Your Siding Services? Whether you are having siding installed for the very first time or are planning to replace existing aluminum or vinyl siding, our siding experts have the quality, options and right siding color for you! Our work is geared by our satisfaction guarantee as well as limited installation warranty. Further, the siding is also backed by the lifetime transferable limited warranty by the manufacturer. We provide a variety of fascia, accent trim, and soffits to compliment the style and look of your home. Colors resist fading, even in the direct sunlight – 100% guaranteed. If your siding is totally replaced or partially repaired, it is always beneficial to have a new siding in your house. Apart from protecting your home, a quality siding plays a crucial part when we talk about insulation. The right kind of siding could help keep drafts and moisture too out of your home and enhance energy efficiency to stay it cool throughout the summer and warm during the winter months. Since our inception, our company has been focused on making every customer happy. That is why we only hire the best in the industry to get any task whether big or small, done right. We ensure that you will be happy with your new siding repair or installation and that you don’t need to worry about concerns arising in the long run.